The Supreme Education Council (SEC), Sasol, the international integrated energy and chemical company, and Friends of the Environment Centre (FEC) announced the launch of “Qatar e-Nature” schools contest, based on the “Qatar e-Nature” mobile application, now in its second year. The announcement was made at a press conference held at the offices of the Supreme Education Council. In this year’s contest, new questions are added about the content of the app, which has recently been updated to include mammals and reptiles in addition to the already existing plants, birds, and insects. There will also be questions about the parties organising the contest. The SEC will promote the use of the application in Qatar’s schools and encourage the participation of students in the contest. 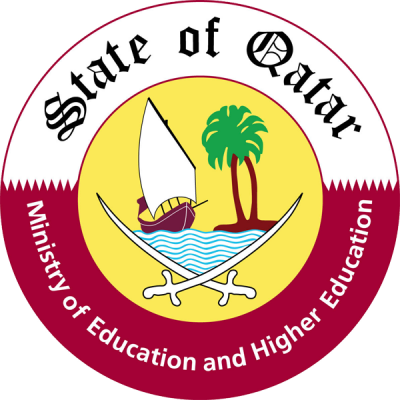 The SEC has supported the Qatar e-Nature application due to its value in educating children about nature in the State of Qatar. Commenting on this launch, Mrs Rima Abu Khadija, Director of the Office of Curricula Standards at the Education Institute, said: “In its efforts to develop education, the State of Qatar has been a pioneer in using technology to support the educational process and improve students’ academic achievement.” She thanked Sasol and the Friends of Environment Centre for the efforts they made to develop the Qatar e-Nature application, which sheds light on Qatar’s diverse nature and promotes understanding of the environment and the need to protect it. The Qatar e-Nature schools contest is open to students in all Qatari schools till 5 May 2015. The contest can be accessed via the application on a smartphone or tablet, or via web browser at contest.enature.qa. Participants can find the correct answers to the contest’s questions on mammals, reptiles, birds, plants, and insects by browsing through the app content. Additionally, students can enter a photo taken of nature in Qatar for the chance to win. Prizes will be awarded in a ceremony at the end of May to individuals in each grade level, as well as to the top five schools with highest participation in the contest. The grand prize will be a trip to South Africa, with other prizes including the latest iPads and iPhones. The user-friendly Qatar e-Nature app is available for download free of charge on Apple App Store, Google Play store for Android, Windows Phone Store, and BlackBerry App World. A web version of the app (www.enature.qa) is also available for desktop access. Latest developments and more information can be found on the Qatar e-Nature social media pages on Facebook, Twitter, and Instagram. The Qatar e-Nature app was launched in Arabic and English in December 2013 to promote awareness of Qatar’s environment and diverse nature. Yearly school contests provide the incentive to students to explore the new elements and content.